Daria Khokhlova and Denis Medvedev (Both with Bolshoi Theatre, Moscow) in La Sylphide pas de deux, music Herman Severin Løvenskiold, choreography August Burnoville. Russian Ballet Festival Lahti 2013. Daria Khokhlova was born in Moscow. In 2009 she graduated from the Moscow State Choreographic Academy (class of Elena Bobrova) and joined the Ballet Company of the Bolshoi Theater. She rehearsed under Lyudmila Semenyaka. Now her teacher-repetiteur is Nina Semizorova. At present she is Soloist at Bolshoi and studies at the Department of performing arts at the Bolshoi Ballet Academy. Denis Medevedev was born in Moscow. He finished the Moscow College of Choreography (class of Peter Korogodsky), then he completed his studies at the Department of performing arts at the Institute of Choreography qualifying as a teacher-repetiteur (now the college and the institute are combined into the Moscow State Academy of Choreography). 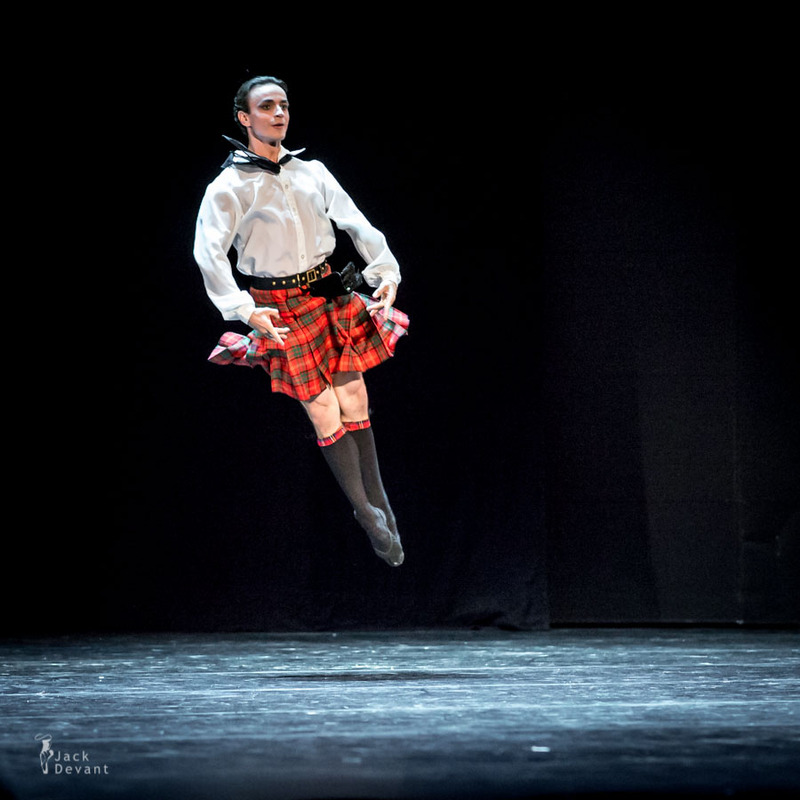 After graduation in 1994 he joined the Bolshoi Ballet where he is currently First Soloist. La Sylphide (The Sylph) is one of the world’s oldest surviving romantic ballets. There were two versions of the ballet; the version choreographed by the Danish balletmaster August Bournonville (1805-1879) is the only version known to have survived.